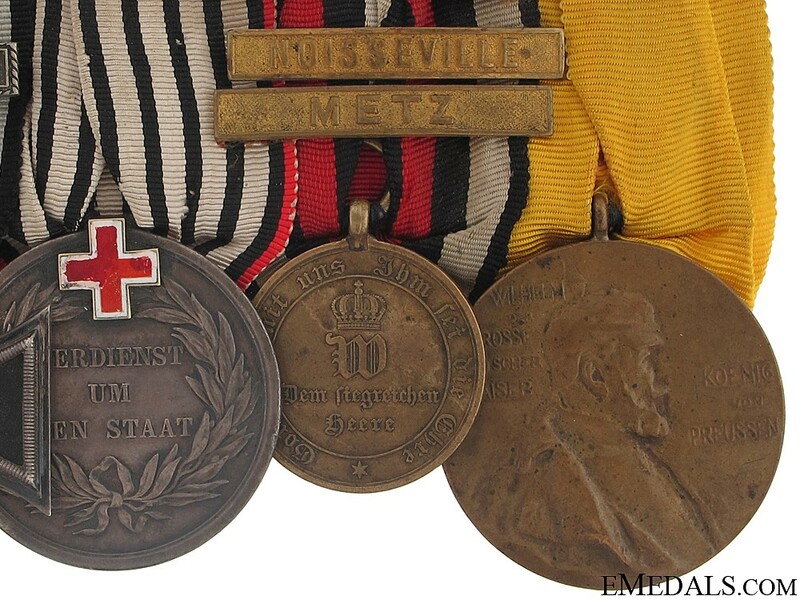 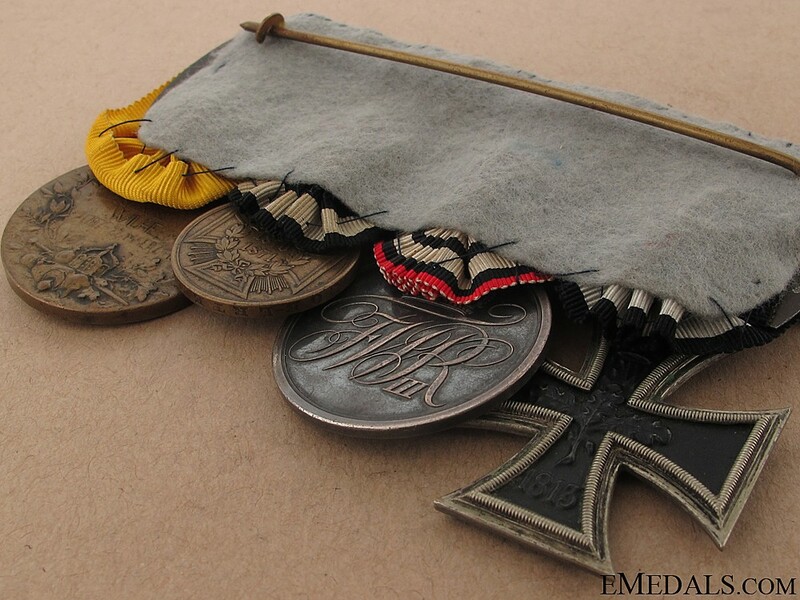 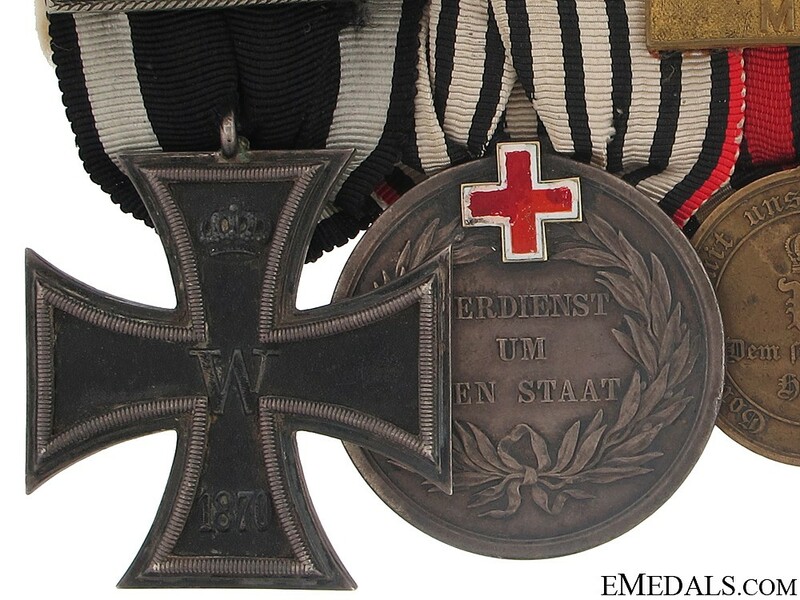 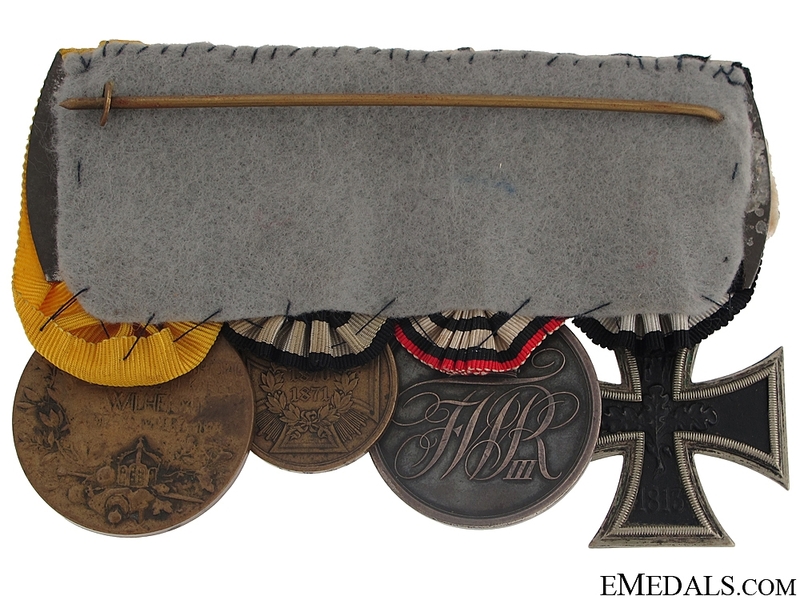 On original medal bar with original period ribbons, mounted as originally worn: The 1870 Iron Cross Second Class (magnetic) with bar; The Red Cross Meda; the Franco-Prussian War Medal 1870-71, with the Vionville-Mars La Tour, Gravelotte St.Privat, Noisseville, and Metz bars; the Wilhelm Centenary Medal. 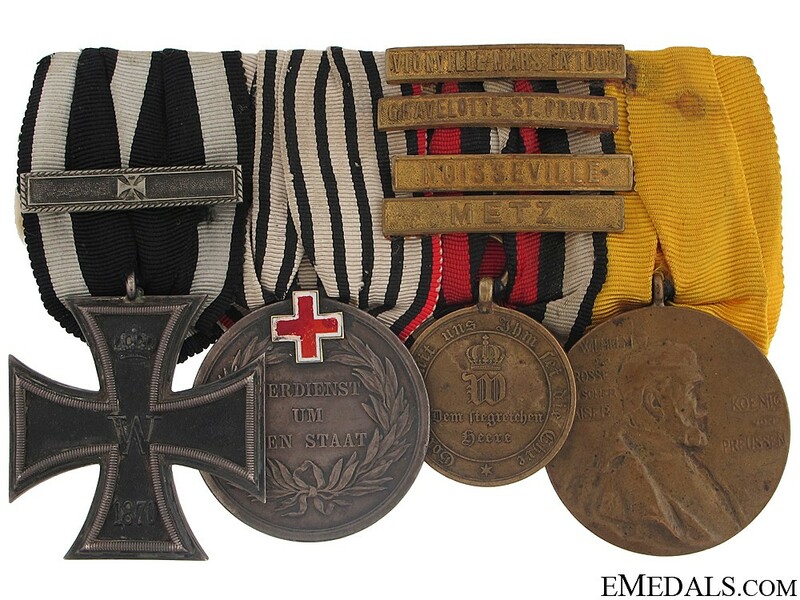 All are in very fine condition. 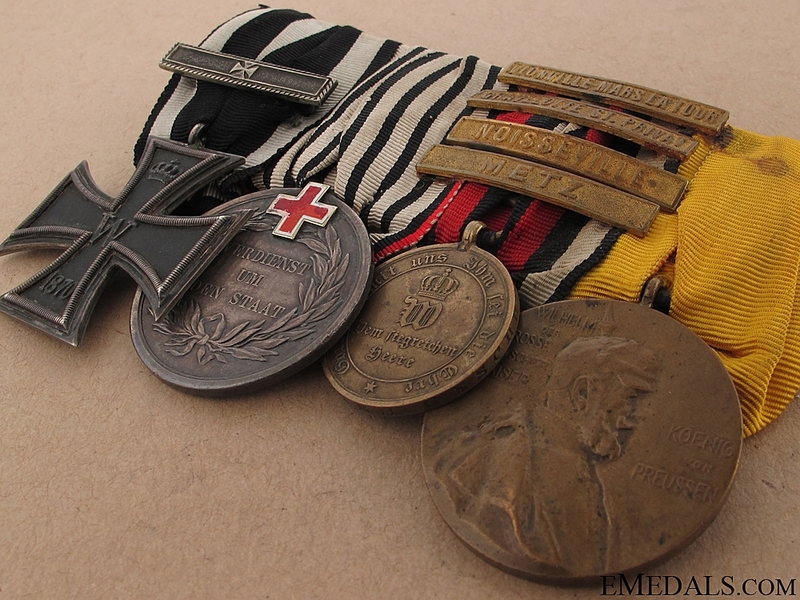 Rare combination of awards.